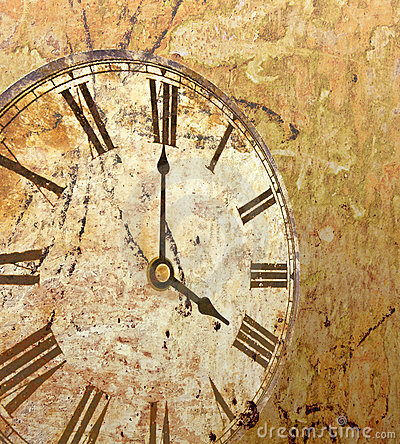 As far back as the Babylonians, human beings have been making resolutions for the new year. 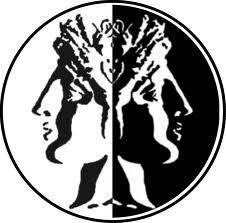 The ancient Romans offered promises to the god Janus, for whom the month of January is named. We are one week into 2012 and already 88% of us have broken our new year’s resolutions. Statistically only 46% of us will keep our vows past the six month mark. Honestly, I’ll be lucky if my annual reforms survive until mid-February. I’ve decided that the problem doesn’t necessarily lie with the failure of the “resolution-maker” as much as it rests on the aspirations themselves; no one really wants to keep a promise designed to squish the fun out of life. It’s important to note that not all resolutions are created equal and therefore, it’s no wonder that travel is in the top five of the most popular items on everyone’s “bucket list” this year. Alright, so I am not the most adventurous traveler that ever lived. It’s true that my recent explorations have been confined to movements within the borders of a country shaped like footwear. I agree that it would be good for me to venture outside of my comfort zone – breaking free from the Umbrian ties that bind me. To this end, on the top of my “2012 Travel List” is “Make a pilgrimage to Sicily”. Considering all the time I’ve spent in Italy these last 8 years, it’s shameful that I’ve never set foot on the island home of my ancestors or, for that matter, in the town of my grandfather’s birth. Situated approximately 75 kilometers from Palermo is the city of Corleone, Italy. 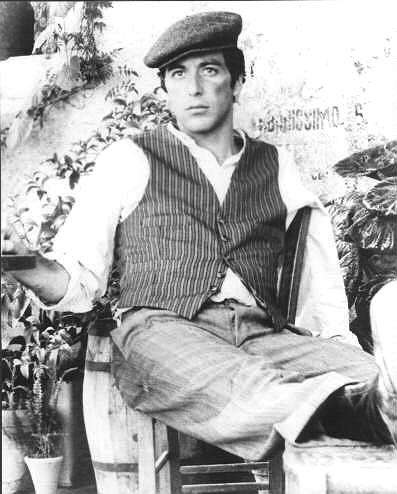 Yes, that Corleone. You can see why I’ve been putting it off – it’s an intimidating proposition. Armed (no pun intended) with my documentation, photos of my Nonni and a list of Sicilian phraseology extracted from episodes of Commissario Montalbano, I plan to set out for the motherland and see who and what I discover. I mean, what’s the worst that can happen…? Boh. 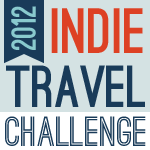 This week Bootsnall is kicking off a new weekly event called the Indie Travel Challenge, that will last for all of 2012! Much like their 30 Days of Indie Travel project, Bootsnall invites bloggers from all over the world to participate. This week’s prompt: Resolutions. Rome in late summer can have days so stiflingly and oppressively hot you can think of nothing else but the record high temperatures. Everywhere people are in a fever-induced trance, like melting zombies repeating the same phrases to whomever is within earshot: “Fa caldo!” “E’ caldo come un forno!”. With dead eyes we respond only with a weak, “Si, si”. I find a small piece of shade near a piazza and sit down on the curb to rest for a minute. The undulating refraction of air rising from the burning pavement creates a mirage. When I stare at one spot long enough, I think I see a figure of the devil forming above a manhole. Hallucination is the first symptom of heat stroke. The soles of my shoes are melting, the mosquitoes that have been gnawing at my ankles have left large red welts on my skin and I’m so dehydrated that my mouth feels filled with cotton balls. Then, not too far in the distance I see it…a drinking fountain! If I weren’t so faint from the heat and humidity I would run toward it like a nomad to an oasis in the Sahara. Archaeologists believe that the technology for moving water into and around a city originally came from the east, however Romans are unquestionably credited with perfecting the process (i.e., the invention of the aqueduct). This brilliant engineering feat goes unmatched in the ancient world and earned Rome the distinction of having the most available, purest, best-tasting water on the planet. 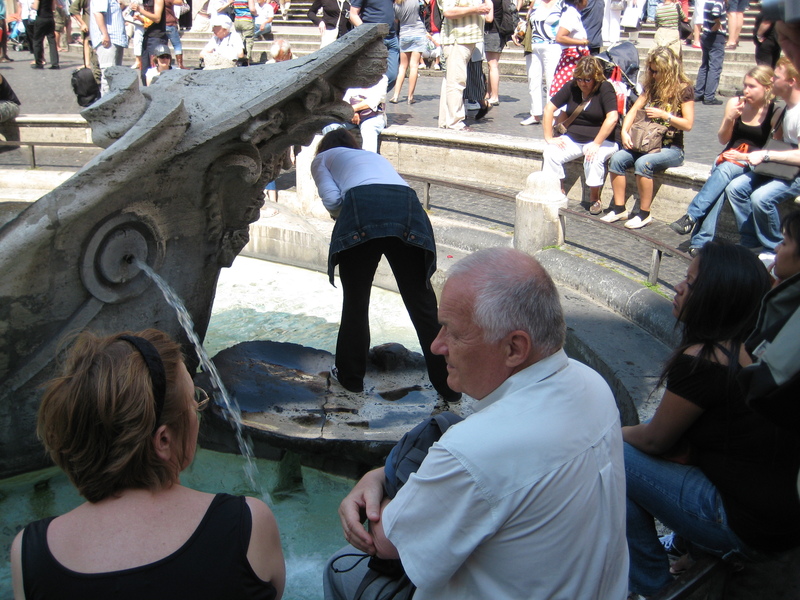 You’ll find Nasone (big nose) fountains scattered throughout the Eternal City – there are about 280 inside its walls alone. On a scorching hot day like this one, all you need to do is simply bend over, stick out your tongue and take a long, cool drink from its glassy stream. 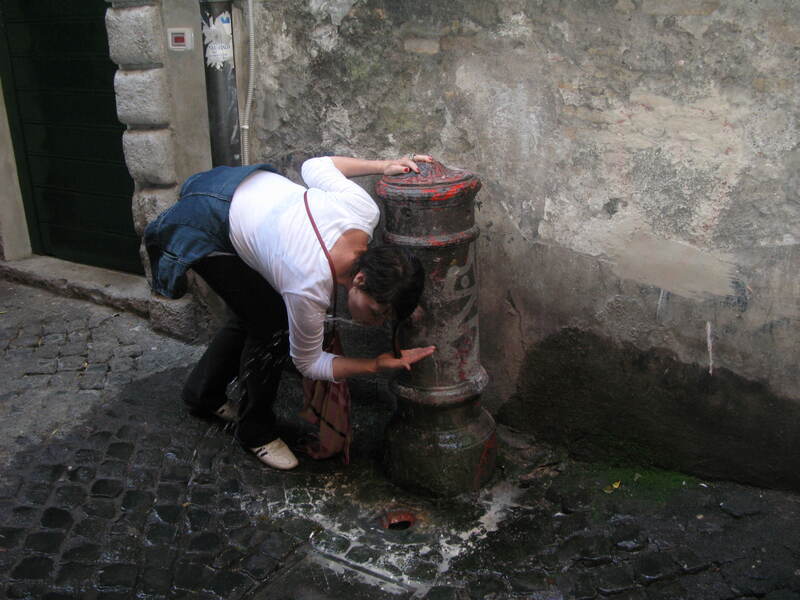 L’Acqua di Roma: Liquid of the Gods! During this entire month of November Bootsnall is inviting bloggers from around the world to participate in 30 Days of Indie Travel : a daily blogging effort to look back on our past travel experiences. Yes, I know I am posting out of order. Yesterday the topic was passion: what’s yours? Benjamin Franklin once wrote, “If passion drives you, let reason hold the reins.” Ben and I agree on this point. My son Andrew often tells me that I have a propensity to perceive things from a romanticized point of view. Conversely, my friend Suzee insists I have a rational, logical approach to life. So which is it? I am keenly aware that gone unchecked, my passion for a life in Italy could consume me and morph into a full-blown addiction. It’s not that I want to discount my emotions in place of reason, but I believe – like the thin line between love and hate – there is a fine balance that must be struck. If your tour guide totes a long stick with streamers in the colors of the French flag and speaks at you through a microphone transmitted to a speaker in your ear: it’s going to be a run of- the- mill travel day. 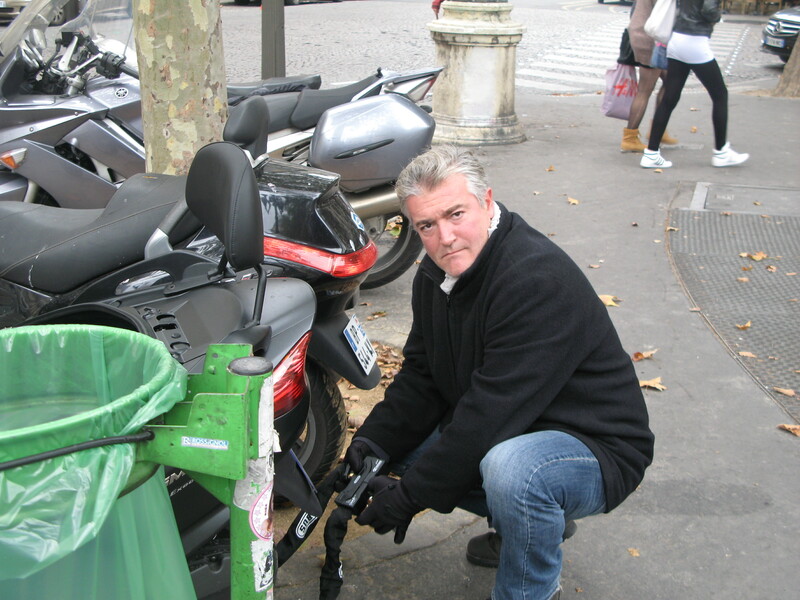 On the other hand, if Christophe, a former pharmaceutical executive-turned fine art dealer (who knows Paris like the back of his hand), invites you for a spin around the City of Lights on the back of his motorbike: you’re about to have one of the best travel days of your life! 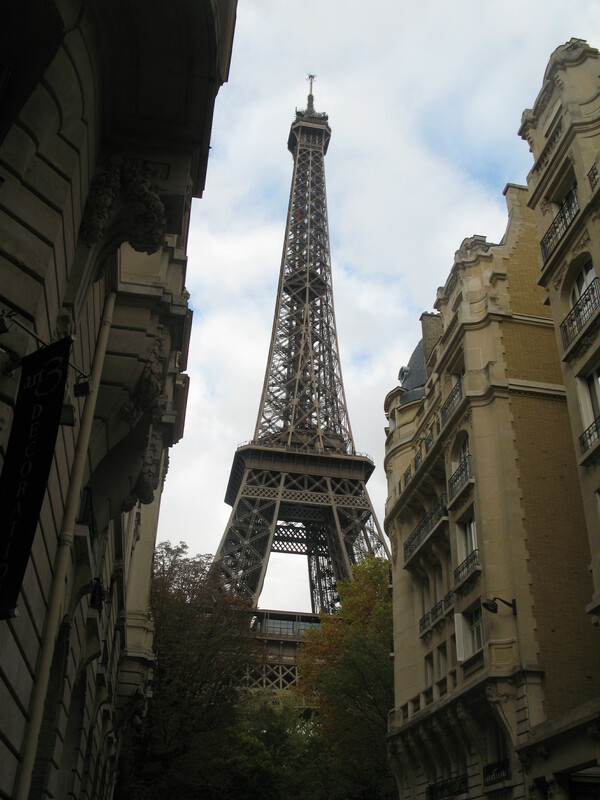 For the record let me say that weaving in and out of traffic on the streets of Paris is definitely not for the faint of heart. Caught off-guard by the unfathomable opportunity presented to me, I jumped at this once-in-a-lifetime offer before really thinking it through. Throwing caution to the wind, I chose to worry about the implications of my decision later. Hey, if things go badly, it would be a chance for me to experience the renowned French healthcare system firsthand. I gripped the back handles of the bike tightly and attempted to relax as we zigzagged around gridlocked cars and stylishly-dressed pedestrians, ricocheting precariously into the roundabout encircling the Arc de Triomphe (which Christophe claims is the most dangerous place in Paris). 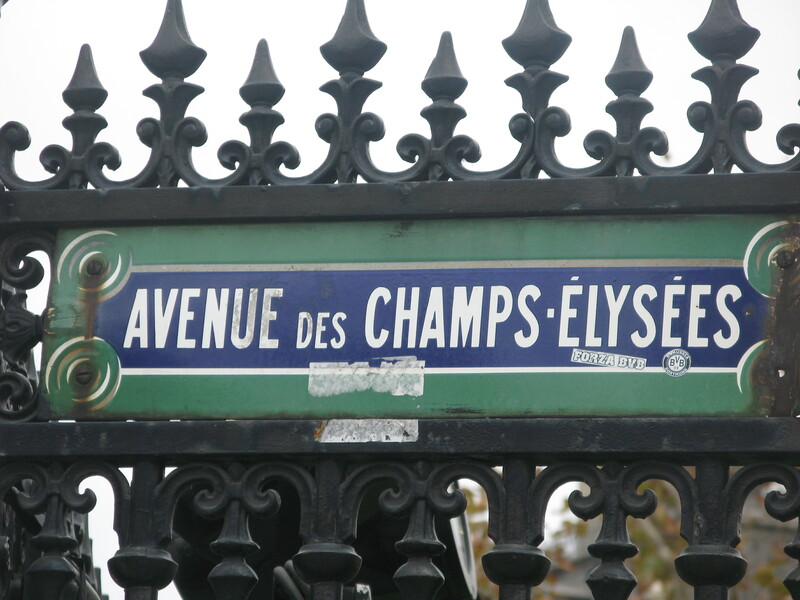 We reached the Champs-Élysées alive and cruised down this legendary boulevard towards a day I will never forget. 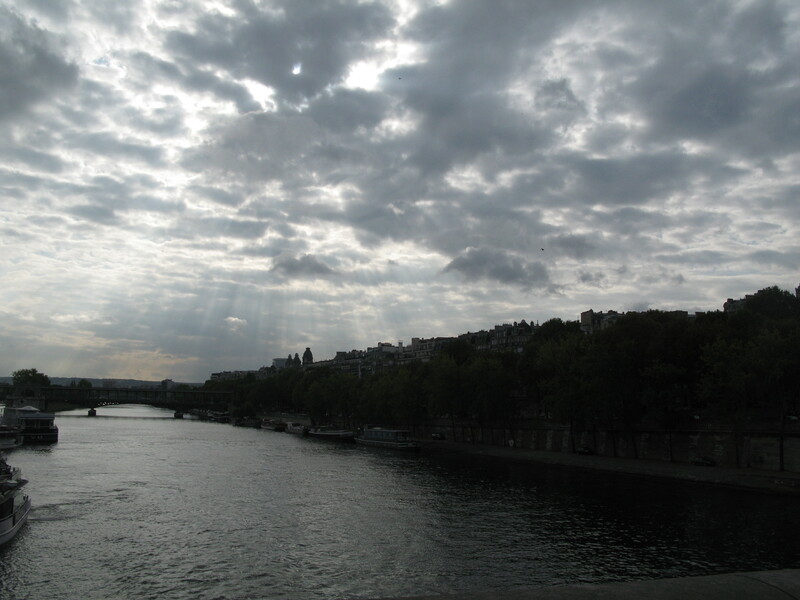 October 6, 2011: My best travel day ever!.